It's not every day that an automaker launches a new, brightly colored car based on social media demand. Or names the model after the hashtag that helped bear it. 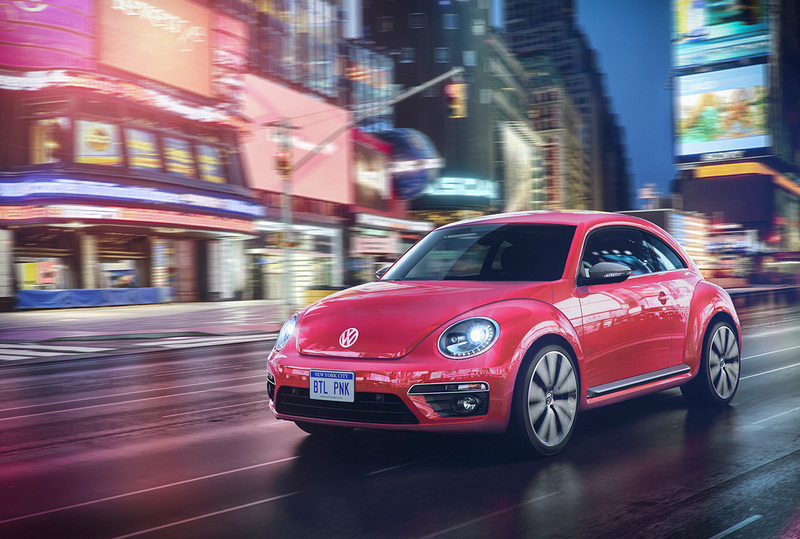 The 2017 Special Edition Volkswagen #PinkBeetle (its official name) hits showrooms this fall, and the brand is celebrating with a blatantly magenta ad from agency ISL, running exclusively through marketer-owned channels like Facebook. A small army of garishly, monochromatically clad performers parades through the streets of Washington, D.C., in the 50-second spot. There are pink suits, pink shoes, pink neckties and glasses, pink dresses, pink balloons, pink posters, pink bicycles, pink flags and pink flag-bearers, pink fedoras atop a pink New Orleans-style brass-band, pink signs reading "The Hue for You," pink ball caps, pink pom-poms, pink flower crowns and pink confetti. There's even a man in a pink turban, because all races and creeds are welcome at this party—so long as they're wearing pink. And naturally, there is a pink VW Beetle. "Live a little brighter," reads the tagline. It's an unapologetically upbeat blitz, and viewers would have to really dislike fun, or the color pink, or generally overbearing displays of either, to reject it. (Luckily, this is America, so haters, fire away.) 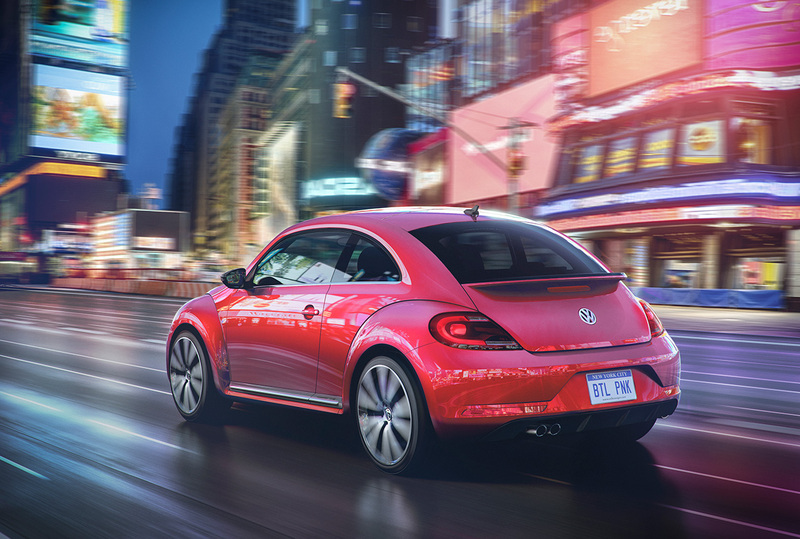 The car's technical color, according to VW, is actually "Fresh Fuchsia Metallic," which probably should have been obvious who really stopped to think about it, except that nobody talks that way, except when they're selling paint. The model itself was introduced as a concept car—named, much more prosaically, the Pink Color Edition—in 2015 at the New York Auto Show. But ISL says it was inspired by fans taking it upon themselves to paint other versions of the car pink, and suggests that online lobbying from consumers resulted in a factory model coming to market, crediting its ultimately pithy and willfully of-the-times (if perhaps still a bit on the nose, and grammar-defying) moniker to those same advocates. The campaign will include GIFs and photos, also presumably featuring pink.